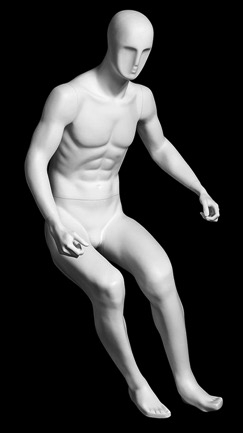 Hit the slopes with our new male skier mannequin! In an exciting action pose he is ready to model the season's best gear. 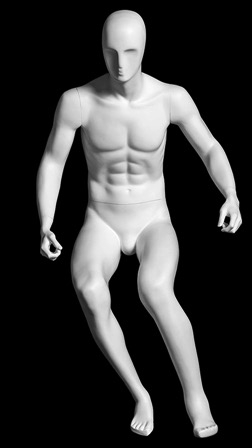 Features and egghead with soft facial features, sharp limbs and a glossy white finish. Made of fiberglass. Square metal base included. Ski equipment and clothing NOT included.